Used Car Buying Guide| Gold Eagle Co.
A few years back, buying a used car would be a really tricky thing and people would think a thousand times before going for it because of the risks involved. It was a pretty stressful process that would require help and suggestions from your friends or family, but with all the resources available these days, consumers are so well informed that this is no longer a big deal. If you’re planning to buy one then remember that it’s extremely important that you do your homework first. So here are all the things that you should keep an eye out for, before you finalize the deal. Checking the documents is what will ensure that you’re buying the car from its original owner and that it’s not a stolen vehicle. If the car has no previous history of purchases or services then there is definitely something fishy there. A car’s service history includes details of its maintenance trips and they are essential to keep a car in its top condition. So you would want to buy a car that has been serviced on schedule. A car’s Vehicle Identification Number (VIN) is a 17-character number and it is just like its fingerprint so it can tell you a lot about the car. The VIN can be found at many places such as the engine block, the driver’s dashboard, driver’s door post, on the insurance card and the vehicle’s registration. If the VIN seems tampered in any one of these places, double check it by matching it from the other locations on the car and in case they don’t match, you’ll know that you’re being scammed. No matter what your incentive is, it’s not usually a good idea to buy a salvaged car. 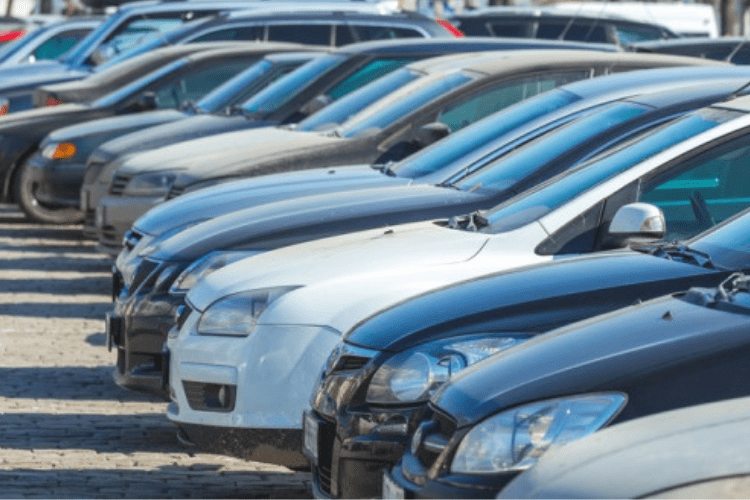 A salvage title is issued to a car after it has been in a major accident where the repairing costs were too high due to which the insurance company declared the vehicle as a total loss, took possession of it and sold it to a third party like a repair facility. A car is not always worthless after the accident and many people find it to be a good investment because of the money they save but there are many risks involved and factors to consider in such scenarios. If a car has had more than 3 or 4 owners, should you be concerned? Definitely! This doesn’t have to be a reason to let go of a car that otherwise seems perfect, but there are some risks that need to be explored. With multiple owners, you don’t know how well the car has been maintained so it’s important to thoroughly check the service records in such a situation. The condition of the car should be in line with its mileage. If the mileage is low and yet the driver’s seat, wheel and pedals show a lot of wear and tear then things don’t add up here and it’s likely that the car was not well cared of. So don’t just buy a car because of low mileage and keep the other factors such as the condition and age of the car in mind too. A close inspection of the tires is what will help you save money in the long run. If the tires seem unevenly worn out then there are either some mechanical problems with the car or it hasn’t been cared for properly. Inspect the car carefully to make sure that all four tires are in a similar condition. If they’re not, investigate and don’t buy the car without getting to know the real reason behind it. Mismatched tires and hubcaps might not be a deal breaker but they can affect handling and braking performance of the vehicle. So don’t forget to check if all the tires and hubcaps are of the same size and type. If you notice that they’re different, do ask extra questions. When going for the test drive, don’t just focus on how the car feels but also listen closely to how it sounds. A knocking sound during acceleration suggests a worn out engine while rattling sound on turns and speed breakers means that there’s loose suspension or body components. Misaligned panels mean that the car has had some damage in the past or some bodywork has been done. Buyers often tend to overlook such misalignment as a common imperfection but you might be unaware of a major accident that the car has been in. So check to make sure that all car parts are evenly aligned and if something doesn’t seem right, compare it to the opposite side of the car. When observing the engine, look for any rust or leakage as they denote problems under the hood that can necessitate very expensive repairs in the future. Rust in any other part of the car too should be taken seriously as rusty cars are weaker and take greater damage in case of a crash. The easiest way to check for any body repairs in a car is to look for a paint job. New paint on an old car obviously means that something is being hidden from your eyes so a car with original paint is always a better option. If you’re getting an offer that seems like a steal, don’t get too excited as such an investment may soon turn into a financial burden for you. Research the market price for the car beforehand to ensure that you don’t get ripped off. Summing up, a good visual inspection and sound decision making can go a long way. 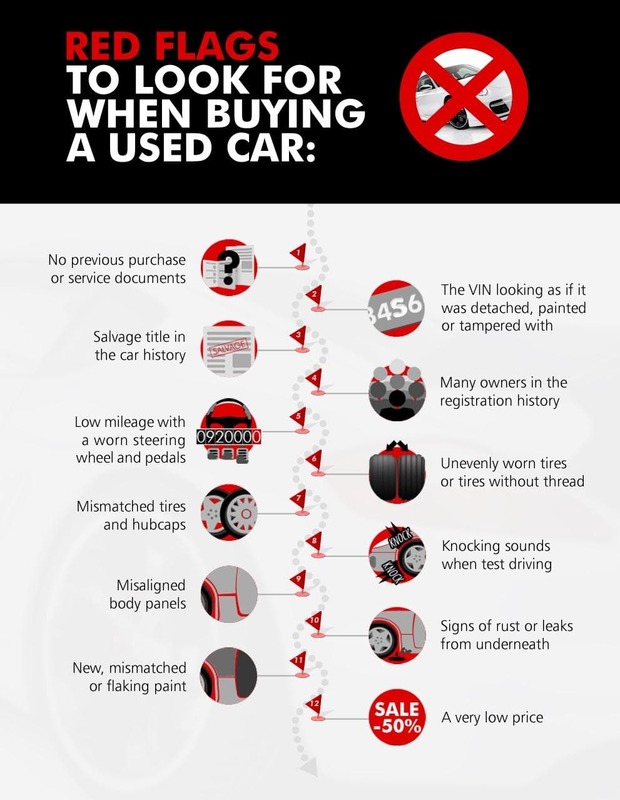 So keep our checklist in mind when you go for buying a used car and we’re sure you’ll get the best deal.